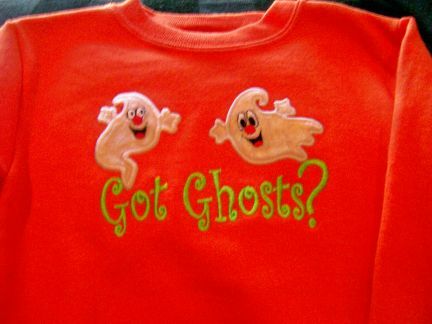 These not-so-scary ghosts are adorable on this sweatshirt for Halloween! Ghosts are appliqued in an oh-so-soft panne velvet. Purchase this one-or-kind item for you little Trick or Treater! Only available in Orange 3T.